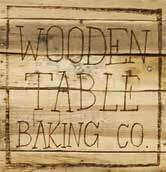 African American-owned businesses proliferate, offer entree to food world. 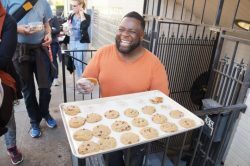 In recent years [a] new generation of black-owned bakeries has sprouted up: PieTisserie, Gregory’s Gourmet Desserts, and Crumble and Whisk, among others, all of which are scattered across the East Bay in various forms. 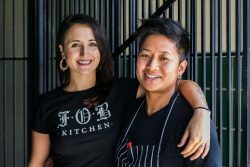 FOB Kitchen has been a popular Bay Area pop-up for years, its longest residency being at Gashead Tavern in the Mission. The menu at the FOB Kitchen brick-and-mortar includes the pork lumpia and pork adobo from the pop-up, but now the dishes are served in a larger format, more meant for family-style sharing. Cali Gold, a 2017 Chronicle Bar Star, created the restaurant’s cocktail menu, which includes a “Juhu Beach Club” option made with Indian rum, chai, lemon, ginger and cardamom. 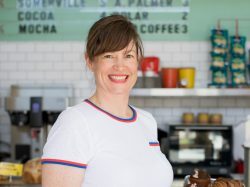 The Palo Alto lineup will include a burger dubbed “The Golden State Double,” made with two Richards Grassfed Beef patties, white cheddar cheese, and McVicker Pickles bread and butter pickles all sandwiched between a Tartine Bakery sweet potato bun. 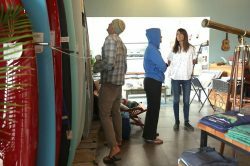 Julie Cox, a professional surfer and former director of the California Surf Museum, launched Traveler in 2017 out of necessity. 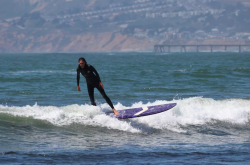 Even though surfers from around the world have long flocked to the breaks at Linda Mar state beach in Pacifica, the amenities are seriously lacking. Aside from the world’s most scenic Taco Bell and a couple of shops, there was no where for surfers to hang, get dry, get warm and chat. 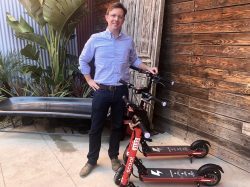 Given the number of scooters Scoot is allowed to deploy, the company chose a relatively concentrated area in which to deploy them, Keating told me. Another consideration for location deployment came down to the number of hills in the area since “it’s not really a San Francisco hill-climbing machine,” as well as ensuring it’s serving an area that’s traditionally under served. And that’s how it landed on the Bayview, where Scoot hosted a media event on Friday. “Part of the reason we’re here is that we teamed up with this group called the Renaissance Entrepreneurship Center,” Keating said. 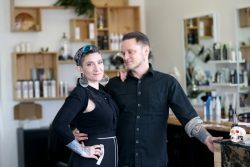 Renaissance Entrepreneurship Center, which has been around for 33 years, helps entrepreneurs start and grow their businesses. A Filipino-American food truck serving comfort food with thoughtful, healthy options. Much of Sarap Shop‘s menu is vegan, with options like tofu sisig alongside more traditional pork belly adobo. 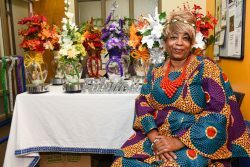 Another sweet Bayview vendor, Yvonne Hines with Yvonne’s Southern Sweets makes southern sweets like pecan brittle, old school butter cookies, miniature lemon pies, and sweet potato and pecan pies. 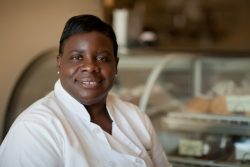 Known for her craby cake po’boys and Lousiana-inspired dishes at her Bayview restaurant, Boug Creole Deli, chef Tiffany Carter is bringing her style of soul food to the big time. Reina knew that she had great party-organizing skills but had never taken the leap to turn her hobby into a career. 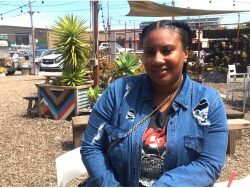 “A friend from the neighborhood where I grew up (in Bayview) told me about a Women’s Entrepreneurship program starting up at the Renaissance Entrepreneurship Center, and that with my talent it would be a great idea for me to come check it out,” Reina explains. She enrolled in the classes in hopes of making her dream a reality. Now, two years later, Reina is founder and CEO of PartyHapps. [The chefs] devoured cookbooks from the 1950s and 1960s, acknowledging that most of the dishes don’t immediately excite but finding inspiration in how home cooks were beginning to embrace the idea of global cuisine. 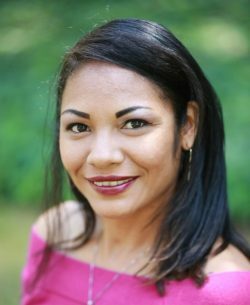 Paula Tejeda: ¡Desde Chile Lindo con amor! [Paula Tejeda], founder of the Chile Lindo project, [is] preparing for one of her most ambitious productions: the first edition of “Chilean Cinema in San Francisco”[…]. As the store acquired fame in the cosmopolitan city, Paula shaped the other edge of her enterprise, promoting concerts, generating networks through her newsletter, promoting cycles and conferences linked to Chilean creativity. 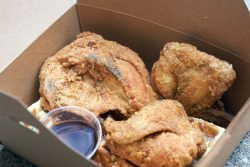 Unlike most closely guarded fried chicken recipes, you can actually get your hands on the secret recipe at Brenda’s French Soul Food. While the crispy chicken is always served with the famous cream biscuit and collard greens, sister spot Brenda’s Meat & Three sets itself apart with a choice of three glorious sides. Whichever location you choose, you’ll be getting legit Southern buttermilk fried chicken that tastes exactly like what you’re imagining right now. Sweat tea brined fried chicken is always a good choice at chef Rusty Olson’s clean, cozy, dependable Southern joint. Don’t bother telling the folks waiting in line for the (really great!) 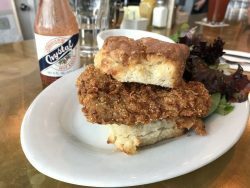 brunch at Brenda’s down the block a ways — just head over to Rusty’s Southern and get a chicken biscuit brunch for yourself. If there’s something wrong about eating fried chicken and waffles on a loading dock in an alleyway, then you don’t want to be right. Just follow the smell of sweet waffles to the small window at Little Skillet where there’s bound to be a line of fried chicken fanatics waiting to get their fix. 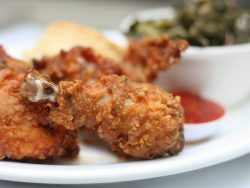 The motto of this Bayview Hunter’s Point soul food joint is “fried with pride” and once you bite into their mouthwatering fried chicken, you’ll taste that it’s true. 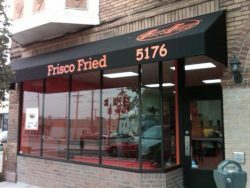 Every piece at Frisco Fried is fried to order, so if you’re in a rush, call ahead. 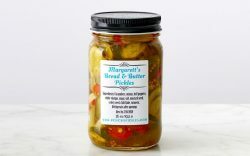 Get ’em by the piece (up to 20 pieces) or make it a dinner pack with sides and muffins. Open every day of the week, Auntie April’s is dedicated to serving up some of SF’s best fried chicken. 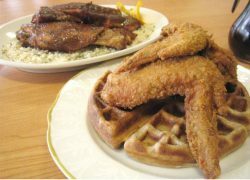 The chicken and waffles is a signature move, offering choice of original, cinnamon or buckwheat waffles, and chicken (leg, thigh, wing, breast). Also available sans waffle, and in sandwich form, don’t forget to snag a side. At Renaissance Entrepreneurship Center, Citabria took the Business Planning class where she wrote a comprehensive business plan. Paul Terry, a counselor and teacher at Renaissance Entrepreneurship Center, was a particularly supportive mentor. [Jennie] worked with the Renaissance Entrepreneurship Center to lock down a $50,000 business loan from a nonprofit that gives qualified small-business owners low-interest loans to open businesses in emerging neighborhoods. 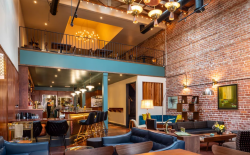 She negotiated with a contractor to revamp the space, brighten it up, redo the floors and rewire the electricity. And three weeks ago, Jennie Lennick, a.k.a. 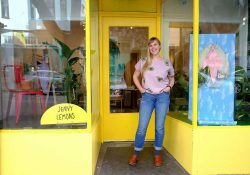 Jenny Lemons, taped a sign that read “OPEN” to her front door.